Positive image of a scanned negative from The Burke Archives. 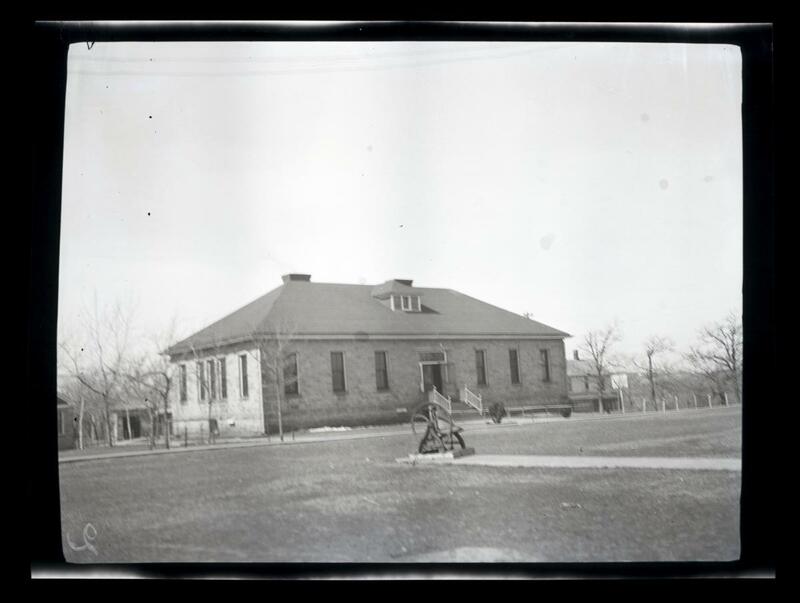 Pawnee School House, Oklahoma, MRL 10: G.E.E. Lindquist Papers, 53, 1033, The Burke Library Archives (Columbia University Libraries) at Union Theological Seminary, New York. Can be viewed at http://lindquist.cul.columbia.edu:443/catalog/burke_lindq_053_1033. Web accessed 23 Apr 2019.